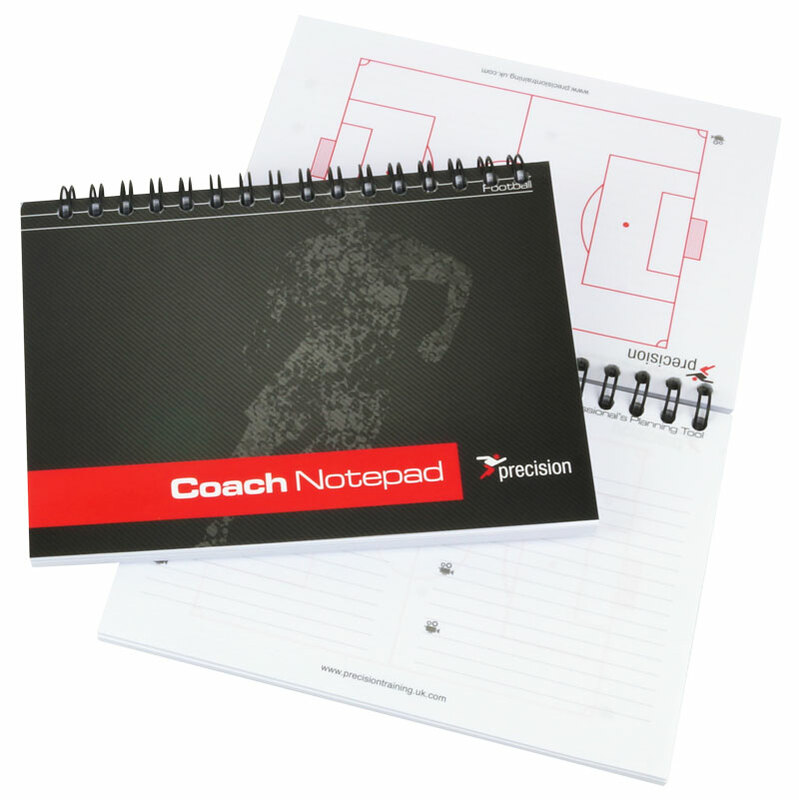 The Precision Training A6 Football Coaches Notepad is the ideal tool for club scouts requiring a hand held tactics book that is easily placed in your pocket and can be used on the touchline by coaches and managers alike. Each double page features 3 penalty box area's for noting of set plays on the left hand side of the book and a lined blank page on the right for squad numbers and player identification. These books have been used for many years on the continent and are now one of the most essential items that any managerial team have in their lockers. Excellent notepad, good size and perfect for keeping notes on match days. The drywipe page on the back of the book is also an excellent addition. Would highly recommend this notepad. Very useful to have pitch side to keep track of scores , subs etc. Great for making notes during games or post match and ideal for helping you keep track with training sessions. Buy it! Excellent product at a good price, I bought these books as a pocket reference jotter and they are the right size to gather notes and work out formation quickly. I would definitely recommend these books.